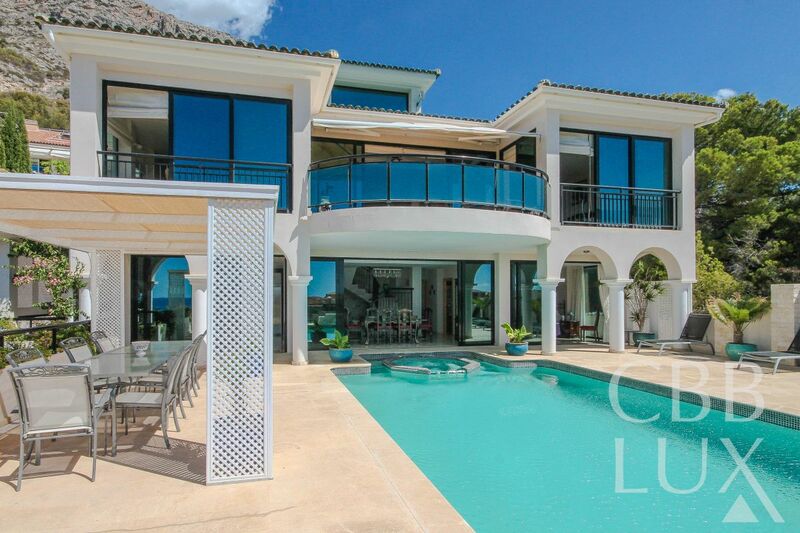 Enter this amazing 950 m2 villa through an impressive hallway with an elevator or staircase to take you to the upper floor. 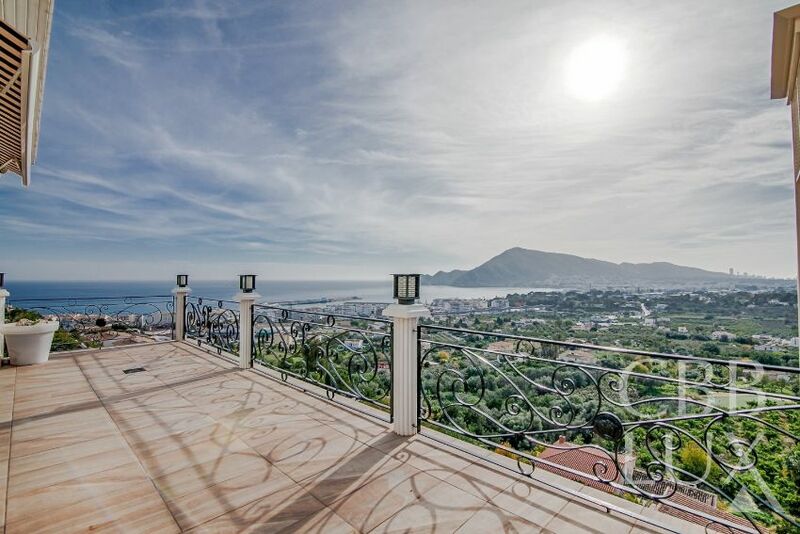 The hall itself leads to a very spacious living room from where you can enjoy fantastic views over the bay of Altea. The large kitchen is fully equipped with high quality appliances. 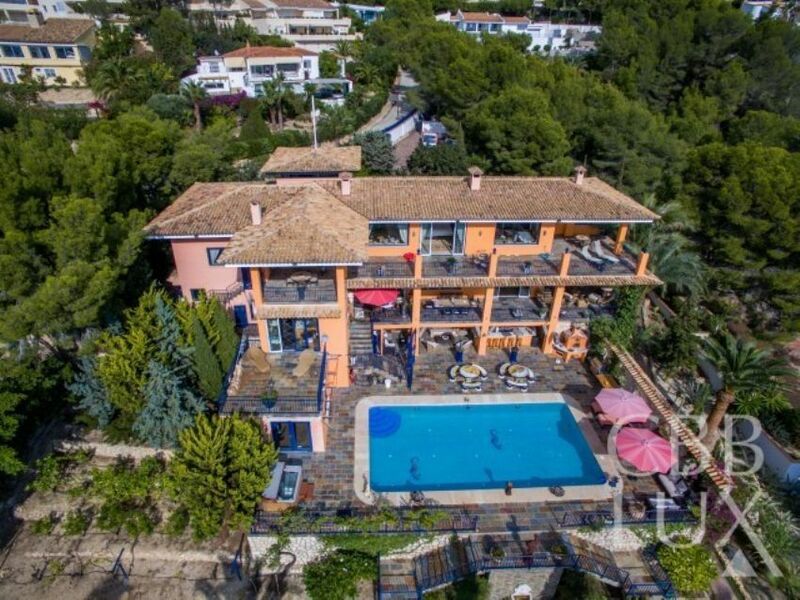 This great property is divided in 2 floors with the main house on the first floor and the guest apartment on the ground floor. The main house has a large living room with fire place and separate dining space, ample kitchen with utility room, 3 bedrooms, 2 bathrooms and a toilette. The terrace has incredible views! The guest apartment has a living room, kitchen, 2 bedrooms, bathroom and toilette. 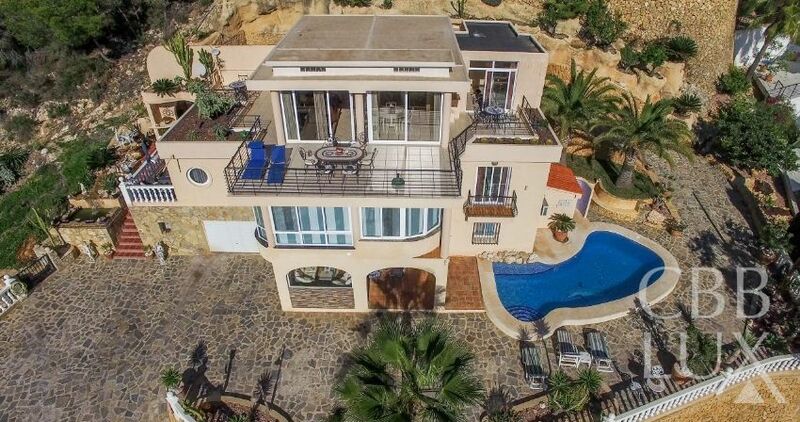 Here you have the finest and nicest villa with the most spectacular views you can imagine in Albir. With contemporary and minimalist design this house outstands easily from anything we`ve seen to date. 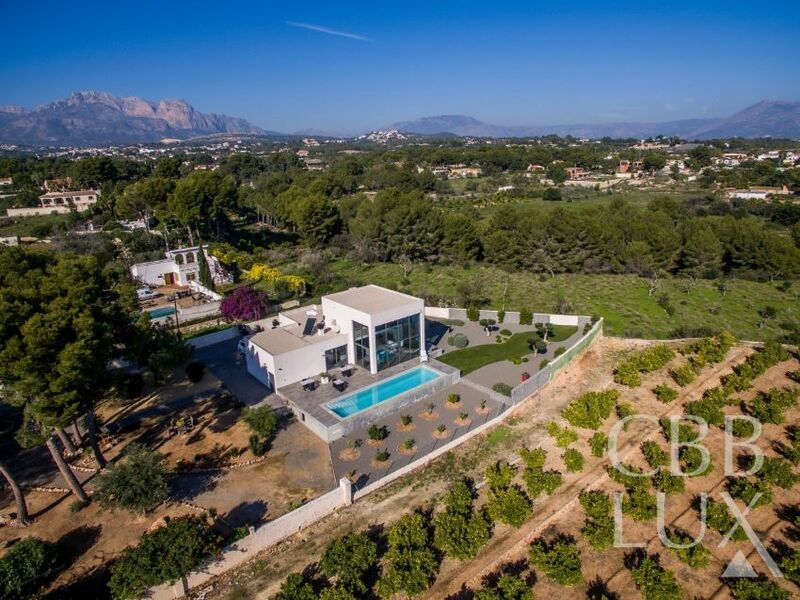 The villa is located in a quiet part of Albir and offers breathtaking panoramic views across 10 towns, the Mediterranean sea and the mountains around our beautiful area. This nice and modern villa, situated very close to the English School Elians, was constructed in 2015. On the first level there is a living room, kitchen, bedroom and bathroom. On the second floor there are two bedrooms with en suite bathroom. There is also a terrace that surrounds the whole house. Outside there is a lovely swimmingpool and green area with olive trees, palms and bamboo. 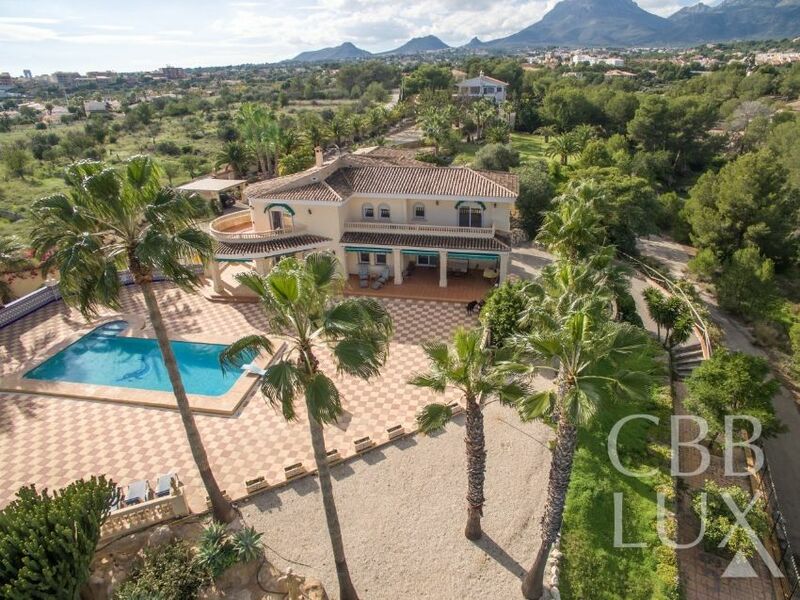 High quality villa in El Cautivador with 3 separate apartments that have fantastic sea and mountain views. The main apartment has a large living / dining room, kitchen, 2 bedrooms, 2 bathrooms (one with Jacuzzi) and toilet. The other 2 apartments have a living room, kitchen, bedroom and bathroom. 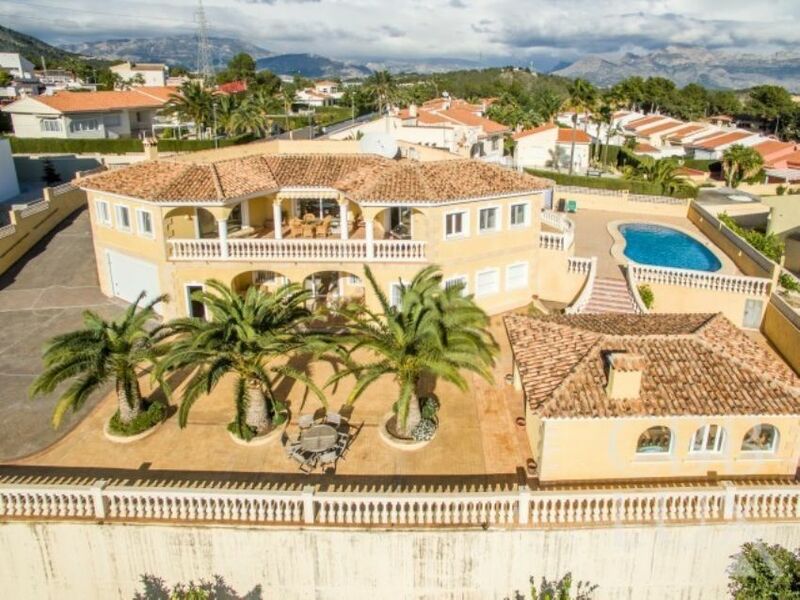 Beautiful detached villa divided over three floors, with 3 bedrooms, 3 bathrooms, spacious living room with high ceiling and several utility rooms. 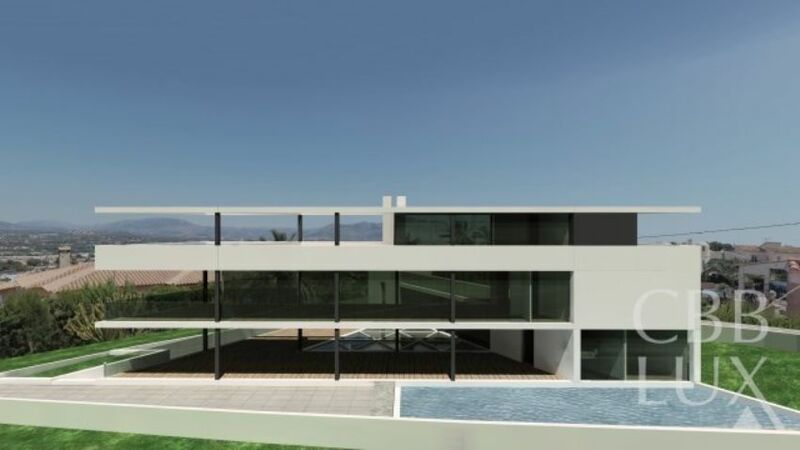 There is a garage with capacity for several cars, a private swimming-pool, summer kitchen, gardens, terraces and a solarium. The house is accessible from two different streets and is close to the golf course. 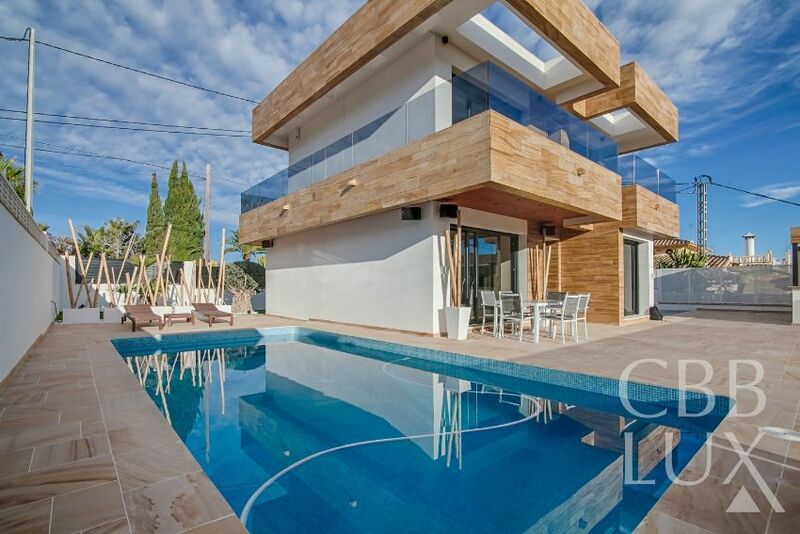 Impressive modern design house, recently built with the highest quality materials. It has a big hall, a very spacious living room with fire place, an open concept kitchen with pantry and dining space, 4 bedrooms and 3 bathrooms. There is also a garage. 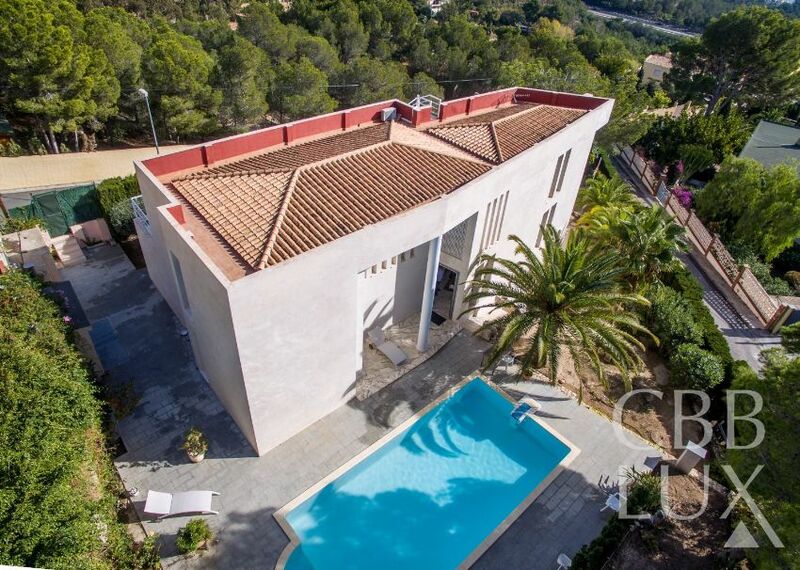 FANTASTIC FINCA WITH FABULOUS PANORAMIC VIEWS, BUILD WITH HIGH QUALITY MATERIALS ALL IN ARABIC STYLE.This treasure is located in Finestrat, on the foot of the Puig Campaña. On the fenced plot of 1500m2 we find 2 properties. The main house of 500m2 consists of 3 spacious bedrooms all of 25m2 with ensuite bathroom, a fantastic living room and a separate tv room. 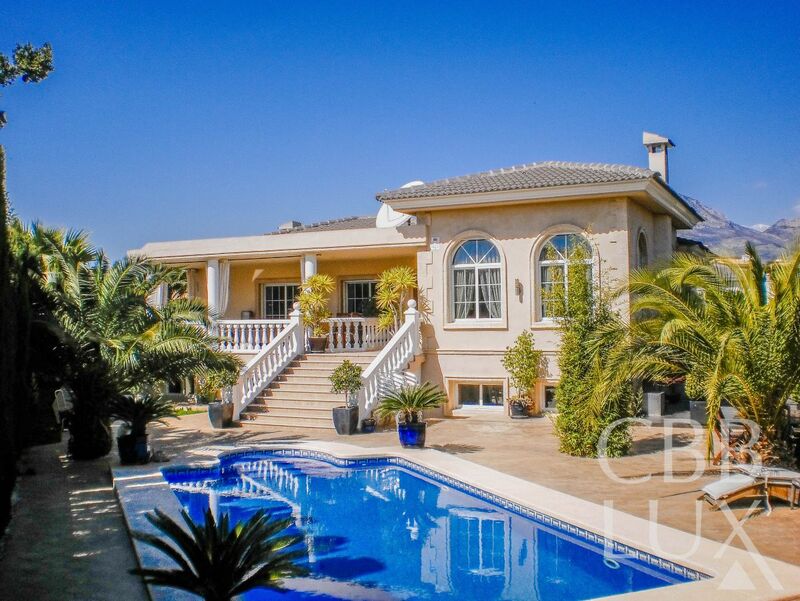 Fantastic 1000 m2 mansion close to Alfaz del Pi. This property has 8 bedrooms, 6 bathrooms, a living room, library, big hall, dining room and very practical and new kitchen. There is floor heating and radiators in all rooms. An elevator takes you from the garage to the first floor. A big beautiful park area surrrounds the building.